The most significant step to increasing your chances of winning the MEXT scholarship is crafting a rock-solid application strategy. I’m willing to bet that at least one of these questions has crossed your mind. If not, they probably should have. After all, the MEXT scholarship is highly competitive. You have to be prepared to be better than all of the other applicants to succeed. The best way to strengthen your application and stand out is to create a rock-solid application strategy and base your application around it. Need help with your Field of Study and Research Program Plan? 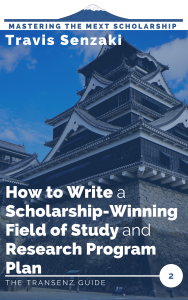 How to Write a Scholarship-Winning Field of Study and Research Program Plan will walk you through choosing a field, developing a research question, and completing the final report to give you the best chance of success! You cannot rely just on your academic background. Even if you have a perfect GPA, that is not a guarantee of success. Chances are good that there are more applicants with perfect or near-perfect GPAs than there are spots available. An applicant with a weaker GPA can still beat you out with an outstanding Field of Study and Research Program Plan and interview performance based on a solid application strategy too. If you don’t have a perfect GPA, then your strategy and nailing the other parts of your application are especially important! As I write this, it is just over a week before the 2018 World Cup starts. Do you think any of the teams in the Cup just go out there thinking “We’ll just kick the ball toward the other goal and that should be good enough to win”? No. They have coaches who have been training them to work together, to maximize their individual and team strengths. 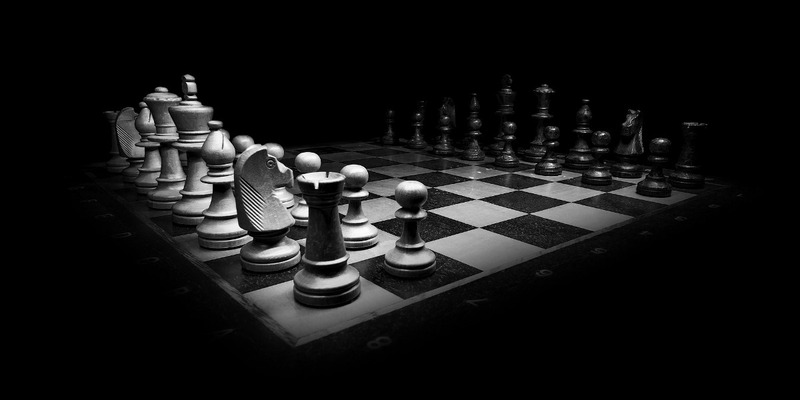 They have a plan to control the game and flow from start to finish. Some teams might prefer a defensive strategy, some will choose complex attacking plays, others will rely on getting the ball to a star striker, others might focus on making the most out of set pieces. Each team, each player on the team, doesn’t just want to win, they have a clear vision of how they will win. That’s what you need. That is your application strategy. What is a MEXT Scholarship Application Strategy? You’re not going to be kicking anything around, and you don’t have teammates in this competition, just a coach (me), but we still need a strategy. So, what will yours look like? We will go through these steps in more detail below, as well as how and where to apply your strategy to your application. How do you want to serve when you finish your scholarship? Your application theme is a statement of the difference you want to make in the world. For example, you might want to contribute to world peace, ending hunger, improving access to education, reducing poverty, etc. While we will get into specifics a little later, try to narrow down your theme a little more from the examples above. For example, you might want to contribute to world peace through promoting intercultural interaction, or reduce poverty by tackling corruption in your home country’s government. Your goal is not to earn the MEXT scholarship, even though I know that’s what you want. Your goal for your application is strategy is what you will accomplish because you earned the MEXT scholarship. Your goal will be a specific action you can take that will contribute to your application theme. I recommend that you focus on an action that you think you can reasonably accomplish within 5 years of finishing your MEXT scholarship. It should also be something that requires further research before you can start work. After all, if you could start now, you wouldn’t need to earn the MEXT scholarship. You could just get to work. Specific: It includes details such as who, what, where, why, when, and how. Measurable: It is quantifiable so that you know if your progress is sufficient and know exactly when you have achieved it. Achievable: It is something you have the ability to accomplish. Relevant: It matters to you so much that you would pursue it even if nobody else supported you. Time-Bound: It has a deadline. Once you have your application theme and goal, you will know exactly what you are working toward. You can choose your research question based on what will best serve your goal. 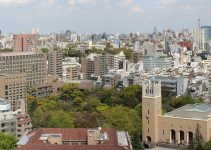 Your goal will help you determine which graduate school in Japan is best for you. It will help you decide what you want to present during the interview. It will help you choose which of your strengths to emphasize during your application. Speaking of strengths. . .
You have an unfair advantage over other applicants, you just have to figure out what it is. Make a list of your strengths – whether obviously related to your goal or not – your experience to and relationship with your application theme, your environment and background, and any challenges you have overcome. Think about what your friends and family come to you for help with and ask those closest to you what they think your strengths are. Next, try to link each one with your application theme and goal. How can you use your strengths – or the underlying skills or aptitudes – to pursue your application theme? Also consider how the challenges you have overcome have made you a stronger person or given you more dedication to pursuing your goals. If you can, also list specific ways that you have demonstrated your strengths. If you have demonstrated them in an academic context, in practical work toward your goal, or in community service, that is an added bonus. 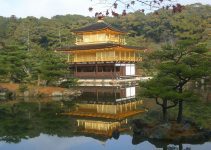 In addition to strengths and connection to your theme, you are almost certain to be asked about your ability to adjust to other countries (particularly Japan), so list any intercultural experience you have, (even if it is just moving from a rural area to a city to attend university and adjusting to that cultural difference). Try to link that that experience with your strengths. If you can present your intercultural preparedness with a strength during your application process, especially during the interview, you can kill two birds with one stone. I used the analogy of the World Cup earlier, but perhaps a more appropriate comparison would be figure skating. In the MEXT scholarship application, you never go head-to-head with another applicant in direct competition. You compete by how well each of you are able to impress the judges. So, your “opposition” is the judges themselves. As you think about your application strategy, consider what the judges want. What do the Japanese Embassy staff want from scholarship winners? How about your local government (who might be involved in the selection process)? What does your prospective advisor want from an advisee? What do the university admin staff expect from an applicant? To the Japanese Embassy staff, the MEXT scholarship is a form of “soft power” for increasing Japan’s international profile. 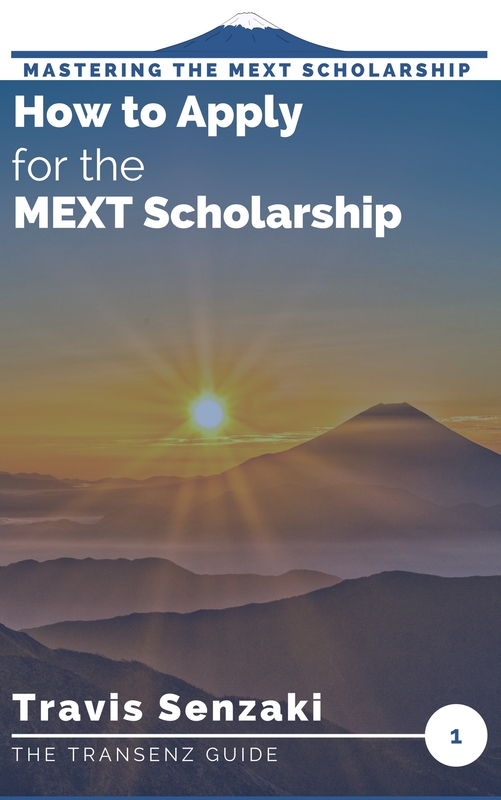 The purpose of the MEXT scholarship is to train future leaders (in government, education, business, communities, and culture) from around the world and to instill in them a sense of gratitude and connection to Japan. In developing countries, the emphasis on training future government and education leaders appears to be stronger, based on past reports, while in developed countries, the goal of creating community, movement, and cultural leaders seems to be a stronger outcome. Your own government staff will most likely be looking to know how you will serve your country or its future connection with Japan. Professors in Japan want to develop strong deshi (students/advisees) who will make contributions to the field and thereby raise their advisors’ profiles. Of course, these are just general overviews. You should dig deeper – know what the Japanese government’s priorities are for your country, what your own country’s priorities are, and know as much as you can about your prospective advisors before contacting them. Now that you have committed to an application theme and goal, you have listed your unfair advantages, and you have studied your opposition, it is time to leverage your strategy to make a strong impression on the reviewers. Your Field of Study and Research Program Plan: Your application theme and goal should be clear when you discuss the outcomes of your research. Reference your strengths and what you think your reviewers’ needs are whenever possible and relevant to tha subject. The interview: When you prepare your personal statement and in every answer to every question, you should seek to highlight your strengths by example and in the context of your application theme and goal. This will give you focus in your interview and make you appear to be better prepared and a strong candidate. Your Letter or Recommendation: Never leave the contents of a letter of recommendation solely to the recommender’s discretion. You should always offer a list of your accomplishments or strengths (with examples) as a “reference” to your recommender when writing the letter. Interested in a More Detailed Walk-through? Click here for more information about How to Apply for the MEXT Scholarship. This article is based on a summary of Chapter 4 of How to Apply for the MEXT Scholarship, which goes into much more detail with examples and exercises to help you better develop your strategy over nearly 50 pages. If you want a more in-depth look at developing an application strategy, you can purchase the book from the link above, wherever fine ebooks are sold. Special thanks to the TranSenz supporters on Patreon. You can show your support for TranSenz on Patreon for as little as $2 per month. Patreon supporters are instrumental in helping to cover the costs of maintaining this site and get priority responses to any questions as well as advance access to news and offers. Thanks so much! You’re amazin! If your goal is to teach in your home country after graduation, that sounds like something that MEXT would support. You’d be in a position of leadership and influence over a rising group of students and able to help connect them to Japan in the future. I do not think that there is any reason to change that goal. 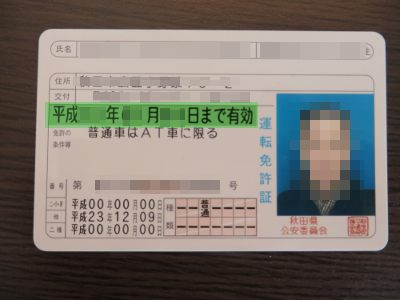 While I do not know your exact field, it seems to me that anything you research in your field in Japan can help make you a better teacher once you return to your home country. Increasing your research experience and professional knowledge should always help. So, my recommendation would be to think of ways that your research plan can contribute to your goal of becoming a better teacher, rather than changing that goal. My adviser is letting me compose a small part of my recommendation letter for the embassy MEXT, especially the parts I want to sell about myself. I was wondering if there’s an aspect I can put that will help me stand out more, particularly something that the screeners are looking for in the letter of recommendation? 🙂 Would writing about my academic accomplishments help my application out more, or would it be better to write down about my extracurriculars or other non-technical skills? Thank you! I would recommend focusing on academic accomplishments, service/community involvement, and examples of leadership. If you do mention skills, mention them in the context of something that you have achieved using that skill. Thanks for the reply, man! I’m curious about the service/community involvement part. Is something like that expected from you as a MEXT scholar? MEXT Scholarship will be granted those who are willing to contribute to mutual understanding between Japan and their home country by participating in activities at schools and communities during their study in Japan while contributing to the internationalization of Japan. They shall also make efforts to promote relations between the home country and Japan by maintaining close relations with the university attended after graduation, cooperating with the conducting of surveys and questionnaires, and cooperating with relevant projects and events conducted by the Japanese diplomatic mission after they return to their home countries. I noticed that the articles i read so far are for embassy recommended scholarship but what about university recommended? I got accepted to an MBA program in japan with a recommendation to apply for MEXT. Will this give me an edge or will my application also go through the same process as the embassy recommended like what is here? I think I have the same number of articles about the Embassy and University Recommended application processes – and articles like this apply equally to both versions. I recommend you check the MEXT Scholarship index page, where I have all of the articles listed (separate headers for Embassy and University, though some of the same articles appear in both sections). The University Recommended MEXT scholarship is completely separate from the Embassy in terms of the application process. You will not need to go through the embassy. If the university selects you for nomination to MEXT that will be the culmination of your application process. I would recommend the Academic IELTS. That’s the only kind I’ve ever seen working for universities and I think that is what would be expected. Thanks for the information. I have a zero skill of Japanese language right now but i want to learn and be a good competitor for the 2020 MEXT undergraduate scholarship program. what do you advice me?? You do not need Japanese language ability to be eligible for the scholarship, but studying the language would help you be more competitive, I suppose. Of course, if you have the time to study – and not fall behind on your school coursework and studying for the content tests for the scholarship – then I would certainly recommend it! Is japanese language compulsory for MEXT scholarship? I have applied once for undergraduate level but failed. My expertise is in the scholarship for graduate students, so I do not have much specific information about that scholarship for undergraduates. However, I am sure that for both, Japanese language ability is not required – though it can certainly be a competitive advantage! Is there any scholarship available in Japan for grade 11 & 12 for international students?Can I apply from my home country? I’m afraid I do not know of any scholarships for high school students. My area of specialty is the MEXT scholarship for graduate students. i dont even have idea how to apply but i have a keen intrest to learn abroad. I would recommend that you start by reading the other articles on this site, which include all of the information and guidance I have collected about the MEXT scholarship over the years. If you want to learn about the scholarship step-by-step, you can also check out my ebook, How to Apply for the MEXT Scholarship. The next thing you want to do is to prepare for the tests and interview while you are waiting for their reply! I don’t know if you saw my reply to Bennie, but you should start preparing for the tests and interview.